Back in April I posted a video on Youtube comparing my newly completed tonewheel set for the Hammond SK2 with its inspiration, my beautiful 1954 Hammond C2. I bought the C2 from a pawn shop in Grand Rapids in 1998. They were using the back panel, which is detachable, as a board to post notices with push-pins. The rest of the case was in pretty rough shape. I feel like I rescued it from certain death. And the best part is that it was only $400. The other best part is that it had smooth drawbars instead of the usual ratchet style drawbars that were standard on the 2 series. I’m fairly confident that the smooth drawbars were installed at the Hammond factory due to the serial number, which dates the organ to the end of 1954. I think this C2 was one of the last off the line before they started making the C3 model, all of which had smooth drawbars. I installed a TrekII percussion unit to bring it up to B3/C3 specs and also a 122 Leslie output. My dad and I refinished the organ, too. Well, pretty much my dad did the work. He’s gone now and so the organ has a lot of sentimental value for me. 1954 HammondC2 – Ain’t she purdy? It’s also one of my favorite organs in terms of sheer tone, sentimentality aside. Everything is stock with the exception of the chorus/vibrato line. I replaced the capacitors in the line and also replaced the resistor underneath the C/V tabs so the chorus is a bit deeper and more like the 3 series. Everything else is from the factory. You can hear it on the organissimo release Dedicated. You can hear and see it in action on this video from my Kickstarter promotion as well as this video. I’ve been tweaking my custom tonewheel set for the SK series ever since, taking into account how it sounds through various speaker systems, Leslies, stages, gigs, etc. I’ve also been experimenting with running the SK into the C2’s preamp. The following clip is an example of that. The signal flow is as follows: SK2 into the C2 preamp via the RCA jack on the expression pedal box, C2 preamp direct out via a custom direct box into a mixer, the mixer aux output into a Mini Vent, the Mini Vent stereo output to my DAW. I posted this clip on the Keyboard Forum and the responses were interesting. Some could not tell the difference. One poster asked if I had put the SK through the C2 preamp. Some correctly identified the SK. One fellow poster claimed that routing the SK into the C2’s preamp was unfair, since you’re not going to have that luxury in a live situation (although I’ve been toying with the idea of finding an AO-10 preamp and wiring it up with 1/4″ jacks to go in between the SK and my Leslie!) Point taken. The AO-10 preamp from the C2 definitely puts a cool vibe on the SK’s signal. So what’s the actual difference? I decided to inject some white noise into the preamp and see what’s up in a spectral analyzer (with the awesome and free Voxengo SPAN). White noise from the Test Tone generator in Cubase 7. And here is the white noise after it goes through the AO-10 preamp in the 1954 Hammond C2. White noise after going through the AO-10 preamp. Look at that beautiful gentle roll-off in the high-end. The whole signal takes on a nice rounded curve rather than the straight linear line of the original signal. This of course is not very scientific and only reveals a fraction of what’s going on in the preamp. There is harmonic distortion, slewing, filtering, and all many of things going on in there. But it did give me a starting point to try and shape the output of the SK to sound more like the C2’s output without resorting to “cheating” and running the SK through the C2. 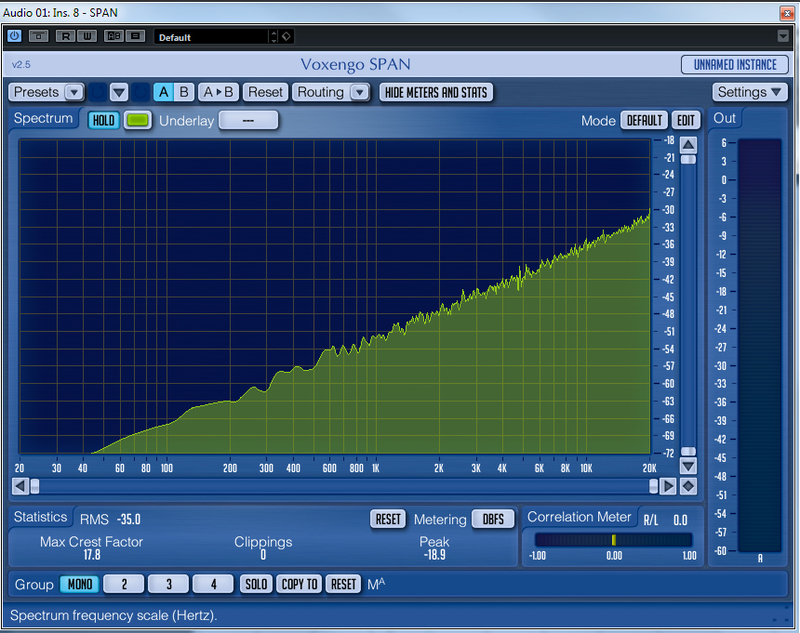 I started by using the onboard EQ parameters in the SK2. It has per-patch EQ and also global EQ via the knobs on the front panel. The per-patch EQ is quite powerful and includes the “TC” parameter which emulates the tone control adjustment on the original Hammond preamps like the AO-10. I have the tone control turned all the way up on my C2, so I set this parameter to -1 in the SK. According to the manual, -1 represents the knob all the way up. The SK actually allows you to adjust it beyond the real-life maximum, which yields some interesting results. Once that was set, I used the per-patch EQ to shape the signal a bit more, trying to match the timbre of the C2. I found that adjusting the low mids made a very big difference. So here is the result. The following video features the raw, unprocessed output of the C2 against the raw, unprocessed output of the SK2. The SK2 is NOT routed through the C2’s preamp. 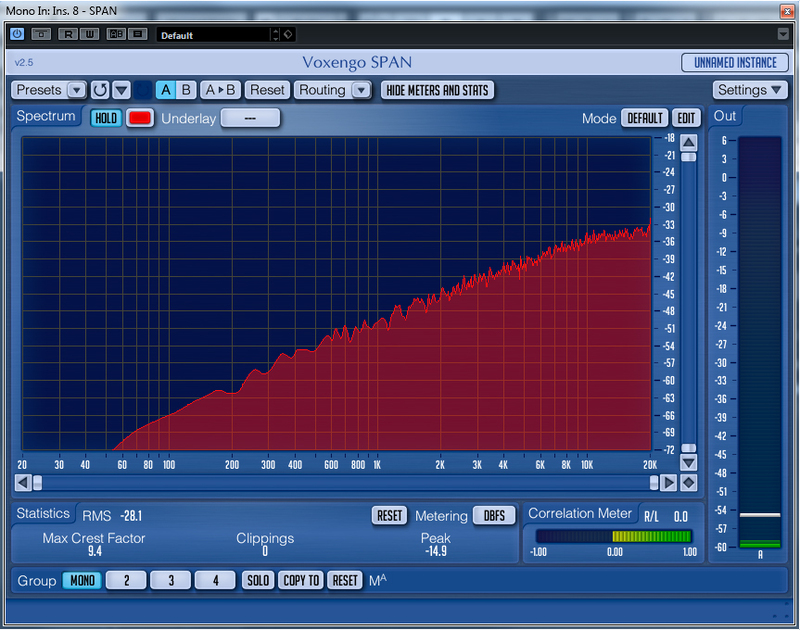 Both organs’ outputs are going straight into the DAW. No Leslie, no Leslie sim, no outboard EQ, nothing. Just straight out of the two organs and into the computer. Watch the video and see if you can detect which organ is which. Listen for the quality of the key-click, the tones behind the main frequency of the notes, and the timbre of the percussion. Later in the video I turn the chorus on both. Listen to the depth of the chorus and the shimmer. Write down which organ you think A is and which you think B is and then watch the video below so see if you’re right. Don’t cheat! Watch the first video before watching the one below. Distortion – There’s some fuzz around the edges of the real thing, due to the preamp. That difference gets much smaller when the SK2 is run through the preamp. I can kind of mimic it using a small amount of the onboard overdrive, specifically the SK’s EP model which is much more subtle and better sounding than the TUBE model. Leakage – In order to try and mitigate the leakage, Hammond moved the location of certain tonewheels in the generator throughout the years. Since the VASE III engine was originally modeled on a 70s B3, the last of the line, it represents Hammond’s final arrangement of tonewheels. And that arrangement is different than my ’54 C2* (see addendum 1 below). So the character of the individual tonewheel leakage on some notes is different between the two, because the ’54s tonewheels are in different positions. I got them as close as I can but I cannot change the actual frequencies involved in the leakage. Chorus / Vibrato – The ’54 is very different than the mid-60’s A100 that the SK’s c/v is modeled after. They do not sound the same.That said, I don’t think one is necessarily better than the other, just different. Nor do I have a mid-60s organ to compare it to but the SK2 chorus sounds very good to me. I’m excited about having the new Mix Balance control that was introduced in the XK1c on the SK. That might help to get it closer to the ’54. I’d like to see Hammond offer models of various eras of c/v, including the very cool and unique 2nd tone generator chorus of the BC model. Then again, I’m probably the only one that cares! To summarize, we’re nitpicking over extreme minutia here. Are these issues important in the midst of a burning solo while competing with a distorted guitar, bashing drums, and thundering bass guitar? Probably not. Will they even be apparent in the average supper club jazz trio setting? Not really. Your choice of amplification has a greater effect on the sound than whether or not the keyclick is 100% authentic or the leakage is 100% historically accurate. We’ve gotten to the point where we can take a 35lbs two manual organ to the gig rather than a 400 pound back-breaker. What a great time to be a musician! We’re 95% there in terms of tone. That extra 5% isn’t necessarily a deal-breaker, but its still fun to try and get there. Thanks for reading and please subscribe to my Youtube channel if you like the videos. And leave a comment below or contact me via Facebook if you’d like my SK tonewheel set for your SK. …the arrangement of the tonewheels in your ’54 is the same as a late B-3 – the change from a sequentially-wired terminal strip to a chromatically-wired terminal strip with the narrow brass generator cover took place around 1952. A red-cap generator from a ’74 B-3 will drop right in and wire right up. The reduced leakage of the later red-cap instruments is partly due to the more stable/accurate filtering of the later filters as well as the RC networks on several of the frequencies that got rid of low-frequency rumble on those tones. That makes sense and aligns with what I hear on the C2, especially in the middle range. There is a LOT of low frequency information in those tones that is not there on the SK2 nor is it there on my ’74 B3. * Addendum 2 – Over on the Keyboard Forum thread and my Facebook thread, I talked about the possibility of Hammond adding a scaling parameter to the SK’s keyclick LPF. I noticed that the keyclick gets duller as you go down into the bass ranges on the C2 but it stays the same on the SK. The SK has a LPF parameter in the keyclick submenu but it is static, ie it affects all notes equally. If it was tied to note values with a scaling parameter, it could more authentically emulate the C2. … keyclick is mainly a product of the instant switching of the sine waves at something other than zero cross (and there’s a bit of contact bounce in that mix too.) The higher the frequency being switched, the stronger the HF component of the switching transient. And again, this makes a lot of sense. Todd helped me modify the chorus/vibrato on my C2 to more closely match the 3 series organs and is a wealth of knowledge on the tonewheel organs. Thank you, Todd! * Addendum 3 – Hammond just released the XK1c which is like an SK series organ but without the extra voices. The XK1c has some features that the SK series does not yet have, although Scott May from Hammond mentioned on FB that the features are coming for the SK series via an OS update soon. One of the coolest features in the new XK1c is the MIX parameter in the chorus/vibrato submenu. This parameter lets you balance the dry, non-affected organ signal with the chorused signal and helps dial in a smoother, more vintage sounding chorus. Check out my quick review of the XK1c to hear it in action. This entry was posted in Gear, Hammond by Jimmy. Bookmark the permalink. I loaded your tone wheel set. Sounds great but I have a couple of questions. Should your new set somehow be recorded to “custom tone wheel” section or are they good where they are? I am also curious about your percussion and key click settings. Mine are alright but I’d like to compare mine to yours. Once again I appreciate all your efforts. My set should be selectable from the Custom Tonewheel section. I usually change my keyclick settings based on what speaker I’m playing through. I had it right after a few seconds! Your 1954 C2 still sounds better and this is consistent throughout the video! I’m a big fan of your playing. Your choice of amplification has a greater effect on the sound than whether or not the keyclick is 100% authentic or the leakage is 100% historically accurate. And should it be stereo? In the old days (80s) playing keys through stereo live wasn’t an option. Now I wonder if it’s the way to go. sk2 (which I love) through a MotionSound KBR-M or a really old Sun Alpha PA head and 15″ w/horn cabinet. Thanks for all your persnickity stuff on Hammonds. I play through several systems. When I started touring with Janiva Magness in 2010, the organ side of my rig consisted of an XK3 (loaded with my custom tonewheel set) and a Leslie 21 System. The 21 System consists of the 2101 MkI upper rotor, which is real rotating horn with two 5″ stationary speakers. I also had the 2101 cabinet which is a two-way full range powered stationary speaker. The 2121 has a real rotating horn, as mentioned, and it simulates the lower rotor electronically. The virtual lower rotor is output either through the onboard 5″ speakers or through some 1/4″ jacks on the back into the 2101 stationary cabinet. I used this combination with Ms. Magness up until this past spring 2013. It sounded very good but was a bit of a pain to move in and out of the clubs every night. No roadies for me. I replaced the 21 System with two Yamaha DXR10 powered speakers (see my review here). I also replaced the XK3 with an SK1. I run the SK1 into a Ventilator and the Ventilator in stereo to the DXR10 speakers. I put them on either side of me as monitors in most circumstances although sometimes I stack them one on top of the other slightly off to the side behind me. That sounds great, too. If you’re not kicking bass, they do the trick nicely. The other rig I use often is the Leslie 3300 and a powered subwoofer. This is my usual rig for organ trio gigs where I am kicking bass. It can go as loud as I want but it’s also very balanced and the bass sounds incredible. Stereo is nice but most PAs I play through are not in stereo. But I still like to have my DXR10 speakers in stereo just for me. In regards to the 21 System, I tried it with in a blues trio setting tonight for the first time with me kicking bass on the SK2 and XKP-200L pedals. It sounded really good! Nice and full and the real rotor helped fill the room up well. It was a small room, no instruments were mic’d, but I could hang easily with the blues guitarist / vocalist and the bass was very satisfying. That’s a nice rig for the average small club gig. How do i get your tonewheels. Send me an email, please. b3groover at gmail dot com. Hello Jim. Been watching your vids from time to time and just caught the SK2 / Vintage Hammond comparo………….. In the part two vid. It was easy for me to hear the differences and I will tell you when and why…..
Why? There is a ‘chorus’ effect in the leakage of the new Hammonds and I am not sure of the reason for it. 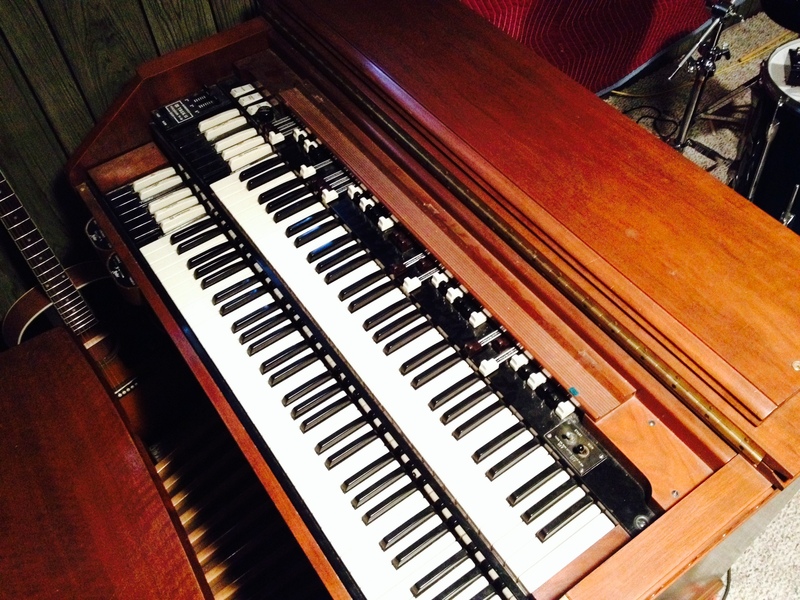 The vintage Hammond showed the same chord without and WITH the chorus vib. as you demoed and note how the leakage is DEAD STEADY ?? Good luck with your new recording, I plan on ordering a copy! It sounds like a loop point to me. I’ve noticed it and I’ve emailed Hammond about it. Then again, are you really going to hear that in any musical situation? The bass is great on the SK2. You can also load non-organ bass sounds like a really great Fender P-bass type sample that cuts well. I use it often. I guessed right! Feeling pretty good after I botched up a recent mp3 vs wav comparison with a friend. Totally stroking my ego here, but if I could describe the difference I’d say the C2 sort of melds together better. At least with the bass from the same instrument. Wondering if the difference would have been as noticeable had you switched organs in the bass hand too. Have to say I’m really drooling over one of these. Not really in the budget right now. I play an XK-2 from ’99 and it gets me through shows with my indie rock band. Any advice on how to tap out the power in one of those dinosaurs while I save up for the SK-2? The XK2 is an old girl but still sounds pretty good through a real Leslie or a Ventilator. Unfortunately it doesn’t have a lot of options to tweak it in order to improve the sound. I’d say adding a Vent if you don’t have one would make the biggest difference but then you’re $500 further away from getting an SK2. The SK2 is a really a great instrument. The latest OS update makes the onboard Leslie sound even better. You’ll love it. Thanks for the suggestion! Really admire your playing.